President of Heartland Consulting Group, Susan Atkeisson has over 30 years of industry experience with retirement plan administration. In 1999, she opened Heartland Consulting Group as a daughter company to Hunter Midwest Inc. She has grown the business from an organization serving about 75 clients to an industry leader serving over 500 corporate customers nationwide. Under her leadership, Heartland now does business in 48 states, and the company continues to grow annually. 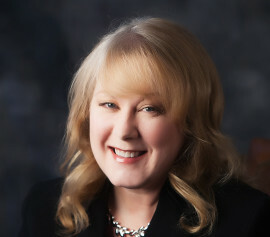 Susan holds a bachelor’s degree in business administration with an emphasis in finance from Kansas State University. Her certifications include Enrolled Retirement Plan Agent (ERPA), Certified Employee Benefit Specialist (CEBS), Certified Retirement Services Professional (CRSP) and Certified IRA Services Professional (CISP). In the past, she has served as president of the Kansas City chapter of the International Society of Certified Employee Benefits Specialists (ISCEBS). Her CEBS accreditation is from the Wharton School of Business at the University of Pennsylvania. In addition to enjoying corporate success, Susan enjoys traveling and spending time with her family. One of her favorite vacations was a trip to Italy with her daughter. She also likes to cook and belongs to several culinary groups. Her claim to fame in those circles is her homemade gnocchi. © 2018 Heartland Consulting Group, Inc. All rights reserved.